Chrysler's Hemi is one of the most revered engines in automotive history. Since its introduction in 1951, the Hemi has cast a spell on its owners and fans. Over five decades of production, the Hemi has moved from strength to strength and continues to be the engine of choice for muscle cars everywhere. 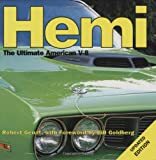 Hemi: The Ultimate American V-8 takes you through the evolution of the Hemi, from its initial development through its first installment into Chrysler's cas, to its heyday in the popular muscle cars of the 1960's and 1970's. Robert Genat’s vivid photographs bring these engines and the cars that housed them racing to life. 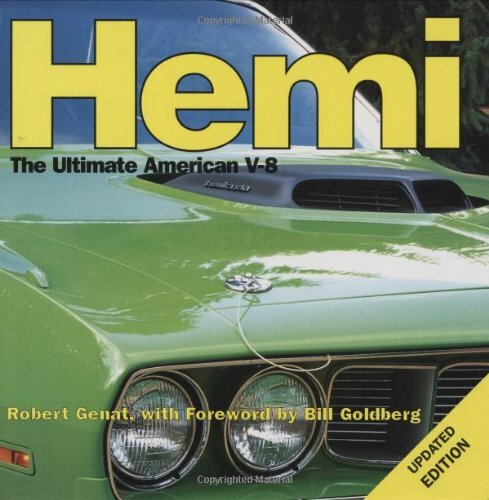 Chock full of facts and fascinating details on this remarkable engine and the muscle cars it powered: Charger, Road Runner, Superbird, Challenger, Barracuda, Super Bee and the rest.